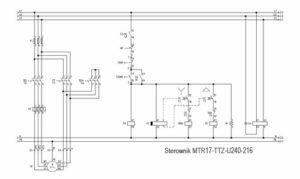 Time relay MTR17-TTZ-U240-216 equipped with universal power supply can be connected to any AC/DC voltage source in range of 12…240V. Performs TZ function to control Star-Delta contactors requred to reduce inrush currents for 3 phase motors. 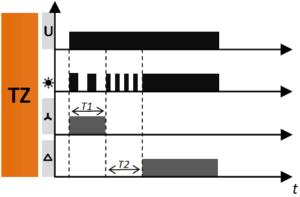 Microcontroller based circuit ensures high stability of time counter. Designed to use in industrial automation systems. 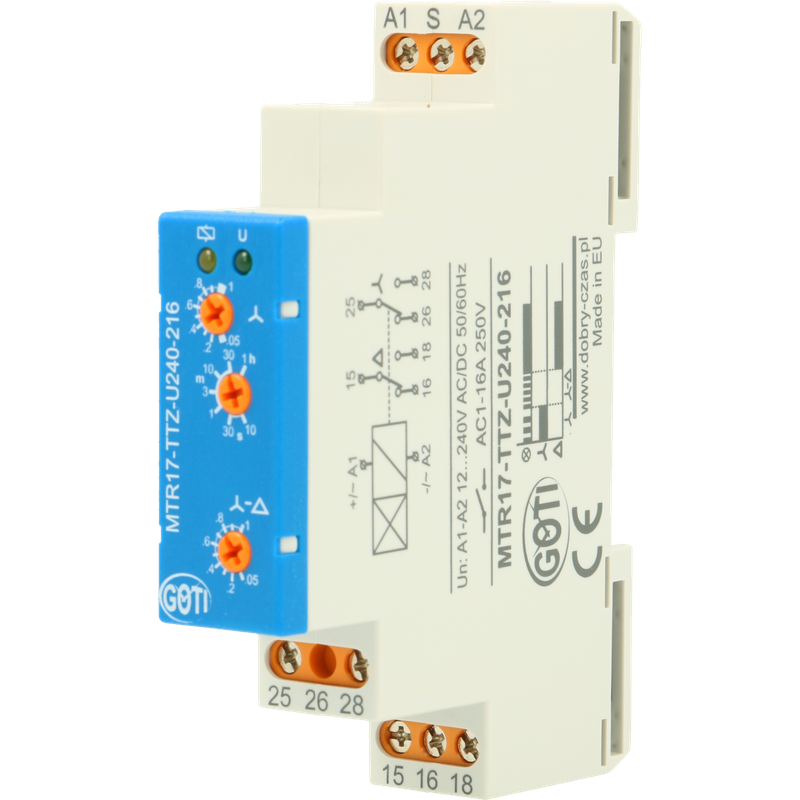 Star-Delta start-up (TZ) – when the supply voltage U is applied, the output relay for the Star contactor switches into on-position (yellow LED illuminated) and the set star interval T1 begins (green LED flashes slowly). After the star interval T1 has expired (green LED flashes rapidly), the output relay for the star contactor switches into off position (yellow LED not illuminated) and the set transit interval T2 begins. After the transit interval has expired, the output relay for the delta contactor switches into on-position (green LED illuminated). 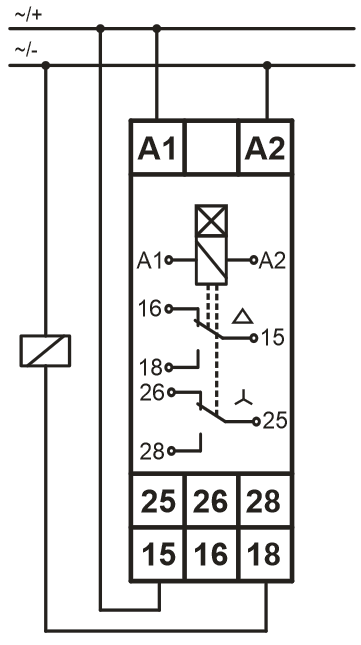 To restart the function, the supply voltage must be interrupted and reapplied. 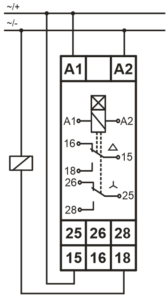 Monitoring relays ensures reliable system protection against demage. It is used to secure loads (eg. motors) from the voltage unbalance, incorrect phase sequence or damage to the executive contactor’s contacts. Welcome to our online store. The full portfolio of products. The certainty of the transaction.